So, what is Bitcoin and why should I be interested in it? There are now over 1400 crypto coins in use around the world. 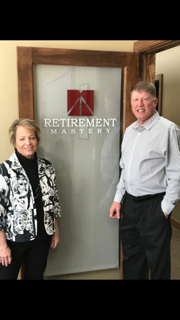 Join us as Ron Richards, Retirement Mastery, teaches us about some of the top coins and their business applications. Learn about the risks/rewards associated with crypto-currency, and their applications in short-term vs. long-term investing. As Ron says, "I think we are still in the 2nd inning of a 9 inning ballgame when it comes to grasping the use and applications of crypto currencies." There is no charge to attend; however, registration is appreciated.